This article on the Churchill wilderness years is from James Humes’s book Churchill: The Prophetic Statesman. You can order this book from Amazon or Barnes & Noble. In the early 1930s, Churchill no longer had a government position. He seemed out of touch by opposing such positions as giving greater independence to India. He continued to write books and newspaper articles from his house in Kent, but many thought his political career was over. He only came back to notice through his opposition to Hitler’s new Nazi dictatorship in Germany and calls for British rearmament. The Churchill wilderness years have been likened to the Biblical prophet Jeremiah, who pleaded in the desert for the people of Israel to change their ways. Others compare him to Cassandra, the prophetess of Troy whom Apollo cursed with always being unheeded. The best comparison is that of the Athenian orator Demosthenes, who wielded his rhetorical gifts to warn of the military threat from Philip II of Macedon. The Athenians ignored Demosthenes’ “philippics” until war was upon them. Churchill’s warnings about Hitler, however, were not simply about the numbers of tanks and planes. Armaments alone, he understood, were not the cause of war; it was the character and designs of a nation’s leaders that determined war or peace. Churchill grasped early on that, contrary to conventional wisdom, the enthusiasm for disarmament after World War I would increase the likelihood of another European war, even without a Hitler. The Churchill wilderness years ended when war finally broke out in September 1939. Prime Minister Neville Chamberlain made him First Lord of the Admiralty, the same position that he had held at the outbreak of the First World War. 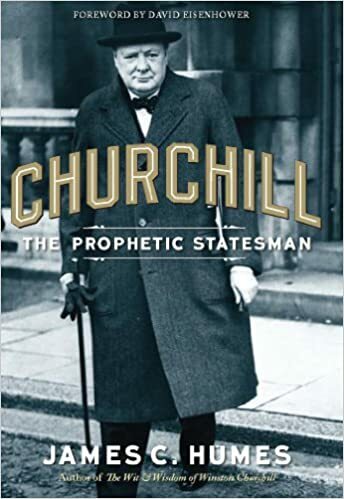 This article is part of our larger selection of posts about Winston Churchill. To learn more, click here for our comprehensive guide to Winston Churchill. This article on the Churchill wilderness years is from James Humes’ book Churchill: The Prophetic Statesman. Please use this data for any reference citations. To order this book, please visit its online sales page at Amazon or Barnes & Noble.